BiblicalTraining believes that you should have access to a world-class biblical education so that you can grow spiritually and become a fully-devoted disciple of Jesus Christ. We are all members of the one body of Christ, and the resources of the church should be shared with the whole body. So we create and freely distribute biblical classes from a wide range of top biblical professors ranging from classes for new believers through a full seminary education. BiblicalTraining is broadly evangelical, not connected to any one church, denomination, or theological tradition. It has been a significant year as we strive to advance our vision and mission. New classes. New apps. New giving platform. Faster website with a better design. And the staff is humming along. We are especially pleased with our 9-month Diploma program (which we will be repeating in January and announcing next week), which enables people to study together and feel a real sense of accomplishment when they are done. All of this is only possible because of people who resonate with our mission and support us financially. 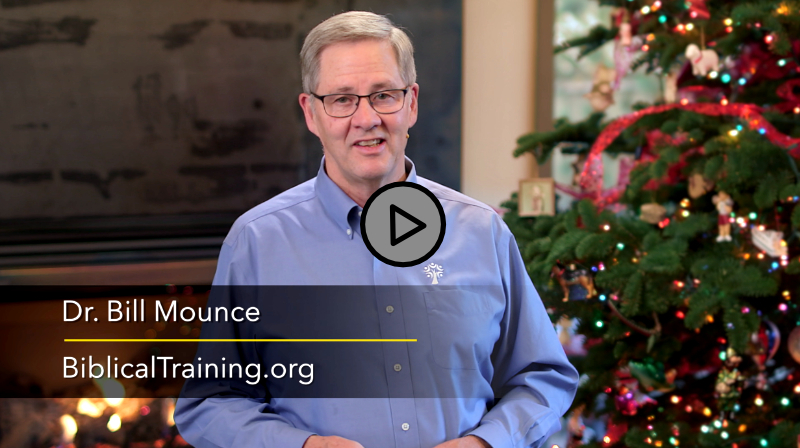 As we move into the end-of-year season, would you consider making a gift to BiblicalTraining.org. What is especially helpful are monthly gifts. Our challenge to ourselves and others this Christmas season is to make Christmaas more about Christ than it is about family. Sometimes we think the holiday should be renamed "Familymas," if we were being honest. P.S. Here are the download versions of our 2018 Annual Report and Ministry Profile.